1+1/2"x1+1/2" in size. 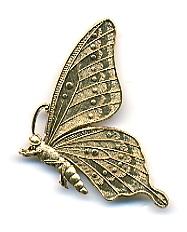 This is a unpainted butterfly button in gold antique finish. 1+3/4"x1+1/4" in size. 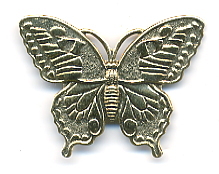 This is a unpainted butterfly button in gold antique finish.